Inverter Technology is the most advanced kind of composition which is inducted in the latest air conditioners and they become inverter ACs, these inverter air conditioners are efficient and has a phenomenal performance when you want to cool off the surroundings an inverter air conditioner the speed of the motor is variable which adjust the temperature respectively which is mutually responsible for heating and cooling precisely. 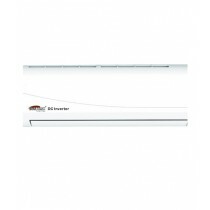 Inverter air conditioners are split air conditioners which are usually mounted on the wall high to throw cooling and heating both effectively when necessary. 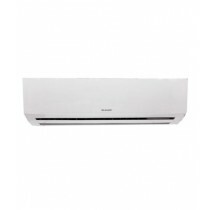 For the best Inverter AC price in Pakistan come and check our newest updated stock. When calculating the amount of inverter air conditioners they absorb the least amount of power when they are running to the full extent. 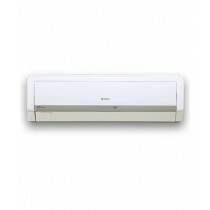 Approximately these inverter air conditioners with the newest inverter technology will consume 50 % less power when these inverter AC units been operational. Inverter Air conditioning units have a variable speed of the compressor so when the ac is started working the compressor or the motor work at a high and variable speed to ensure that the inverter air conditioner will reach up to the desired cooling or heating power which is required at that moment precisely. The inverter Air Conditioners ensure that the user of the desired AC will get maximum comfort when using this new inverter technology. Because the cooling or the heating which is delivered by these units bring the maximum comfort level to the user so they will feel much comfortable and satisfied with these outstanding inverter units. It has been observed while using invert air conditioners that these units are very silent and compliant upon their operations and they hardly produced any sound even when running on full pace. This is one of the imperative feature of these inverter air conditioner kinds which doesn’t bother the user while sleeping studying or watching TVs respectively. Gree is a well-known brand from China, It has a huge lineup of inverter air conditioners with elegant design and absolute features like quick heating and cooling options, Accurate Temperature Control, power drive G10 inverter motor and much more. Gree is one of the most recognized brands of today and launching these inverter air conditions makes them simply reliable and top-notch brands of today. Haier is another proud presenter of Inverter air conditioners which has phenomenal cooling and heating capacity which pleases you in the summer and winter times accordingly.Delivers exceptional cooling even when the temperature reaches the maximum at outside. Haier is one of the great air conditioning brands of Pakistan which is one of the first in introducing inverter technology in their air conditioners consequently. Feel free to visit us for the best Inverter AC price in Pakistan. iShopping.pk is undoubtedly offering you least prices for original brands.